Bob, Dennis, Jim and Jim Jr. 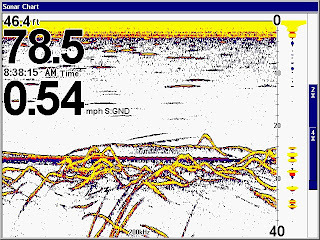 Guides DP and Anthony went out for a couple hours this morning looking for Stripers and took these pictures off of DP's graph. 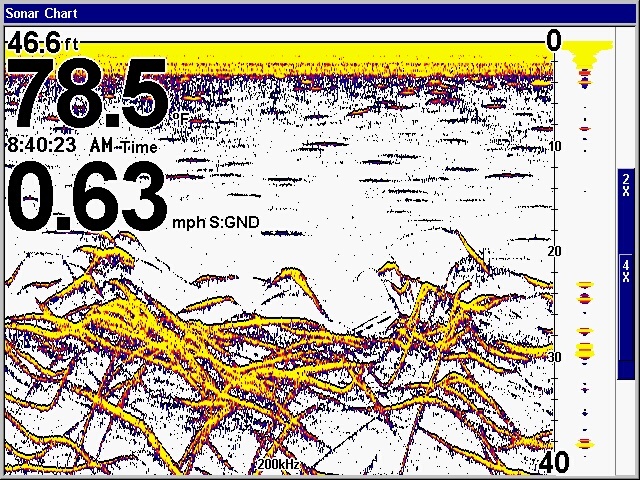 The top picture shows the Stripers between 24 and 35 feet deep. 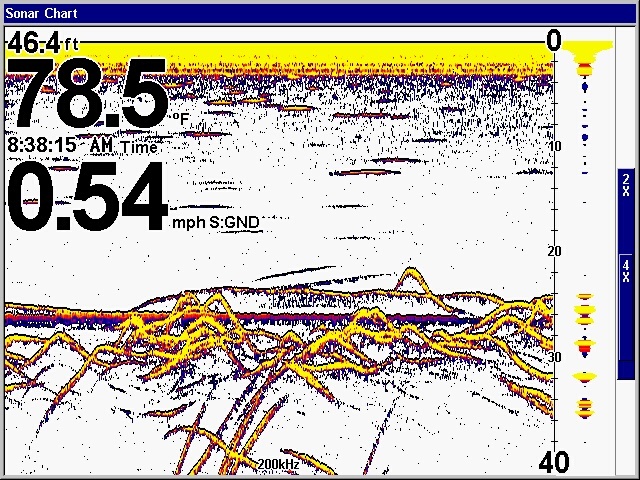 The red horizontal line is his sinker being pulled through the school. The arches that are streaking either up or down are actually feeding fish while the other arches depict fish in a neutral mood. 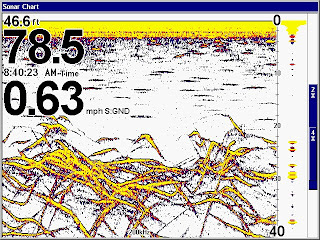 Needless to say they caught fish here.